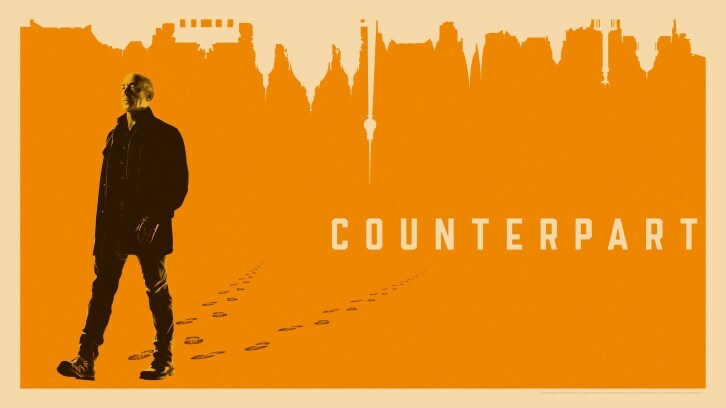 As the deadline to the meeting between management, Yanek and Mira draws closer, Counterpart sees things fall to pieces for both Howards - especially Howard Prime, as writer Erin Levy (Mindhunter, Mad Men) turns in an excellent hour. Much of this episode put J.K. Simmons back in the spotlight as he has been reduced to almost a secondary character in his own show this season, and the series revels in letting its best asset off its leash for an acting tour-de-force. What started out as a showcase for Simmons' acting has morphed into a ensemble piece, so it's good to see what happens when the series puts its main character back at the forefront. Much of Howard Alpha's words were also getting him to come to terms with the belief that Yanek's been trying to get to in his head for much of the season, with the fact that the counterparts share more in common than previously thought. No matter how much Howard Alpha may try to deny it, he is Howard Silk. And so too, is Howard Prime. The consequences of actions both committed and uncommitted spiral out across both worlds as one of the most interesting - and perhaps worrying - things of the episode was seeing Anna discover the secret, or at least part of it, behind the her parents' shared career. She may have been dreaming that her parents were more exciting than she first believed to be and she may have gotten her wish, although dreams coming soon is not always a good sign. What she doesn't know - what she cannot know, is merely by knowing the existence of her parents' careers is that she is in severe danger. And her father is not who he says he is. This revelation was teased here with there being more to Emily Alpha than even previously thought too, as we learnt in this episode that she'd journeyed across the world to spend time with the child that she couldn't have in her own world. It was a heartbreaking moment to see Emily Prime learn of an experience that she was unable to have with her daughter, one of the best experiences that Anna had of her life, and what's best of all, it came completely by surprise. After all, the temptation to explore the life that Emily Alpha could have had would have been could have broken some people. It didn't break her - she was able to return to her normal life as though nothing had happened. But it didn't stop her from getting her hands dirty with some espionage whilst on the other world, and learning more about Indigo that they didn't want getting out. This was very much a question and answer episode that allowed us to spend time with both Howards and Emilys as they uncovered various answers with the audience. On the Alpha world, Emily Alpha worked with Howard Prime to decipher a puzzle. It seemed like for much of this episode that both Howards actually get on better with the wives of their counterparts, and Emily Alpha - whilst she's aware that something has changed with her Howard, she's not quite sure what it is yet. But she likes it - better than the old Howard. It's almost enough to get them both out of seperate beds and into the same one. But then, something happens - and everything changes. One of the many great things about Counterpart is just how goddamn well-cast this show is. It's not just a J.K. Simmons vehicle, and if anything, the series has benefited by spreading out its ensemble and fleshing out its characters. The depth given to not just Emily Prime but also Emily Alpha has shown just how versatile Olivia Williams is an actress. Even before she said anything, we knew - as did Howard Prime, that she was able to work out who he really was. She could buy a more confident Howard - but a Howard who knows how to fight like a professional? No matter the fact that she just saved his life, she knows enough about the man that no explanation Howard Prime is going to give is satisfying her. Speaking of how well-cast this show is, both Harry Lloyd and Nazanin Boniadi were both on fire this week in the time that we spent on the run with both Peter and Clare following their life-changing decision to run away from everything. This week was all about coming to terms with the past - and the consequences that came with it, and Peter did his best to convince Clare that none of what she worked for really mattered. This would have been easier to do had she not led them to the parallel version of her childhood home where she was indoctrinated into said cause, but it's enough for both Clare and Peter to come to terms and once again put others first before themselves. One of the strongest arcs of this season has been watching Peter essentially learn how to grow a backbone from the spineless character who we were first introduced to in season one, and seeing both Lloyd and Boniadi play off against each other was great, with the backdrop of Clare's home making for a fascinatingly atmospheric setting. But in the end, they're now in from the cold and that cliffhanger - which this show is so good at handling - really found a way to pull me in. One of the things that doesn't perhaps bode well for the way that Clare and Peter turned themselves into Naya is the title choice of this particular episode, borrowed from John le Carre's classic The Spy Who Came in From the Cold. I hope I'm reading too much into this, but after everything that's happened to both Clare and Peter, I really want them to make it out of what is surely to be a bloodbath of a finale alive and together with Spencer. But judging from everything that's happened so far, it's unlikely that there are going to be many happy endings.